Insecure's Issa Rae discusses her new film The Hate U Give, which centres around a 16-year-old black girl and the issues she grapples with after witnessing her best friend being shot by a police officer. Issa Rae stars in the new film The Hate U Give, based on the bestselling book by Angie Thomas. The film centres around Starr Carter — a 16-year-old black girl, played by Amandla Stenberg — and the issues she grapples with after witnessing her best friend being shot by a police officer. Rae sat down with Tom Power while she was in Toronto for the world premiere of The Hate U Give at TIFF. "For me, what makes Starr relatable is that I went to high school in the hood, but I also had an experience going to a private school and having to balance those personalities to a degree," Rae told Power. "She has to be a certain way, or so she thinks, with white people and then gets to feel most comfortable in her skin with black people, but also has to front to a degree. And I think so many people of colour have been there." Rae and Power talked about the film and the issues it confronts, including police violence, as well as the success of Rae's hit HBO series Insecure and the more personal issues that have come with her fame. HBO's Insecure is in its third season right now. The Hate U Give opens in theatres on Friday, October 19. 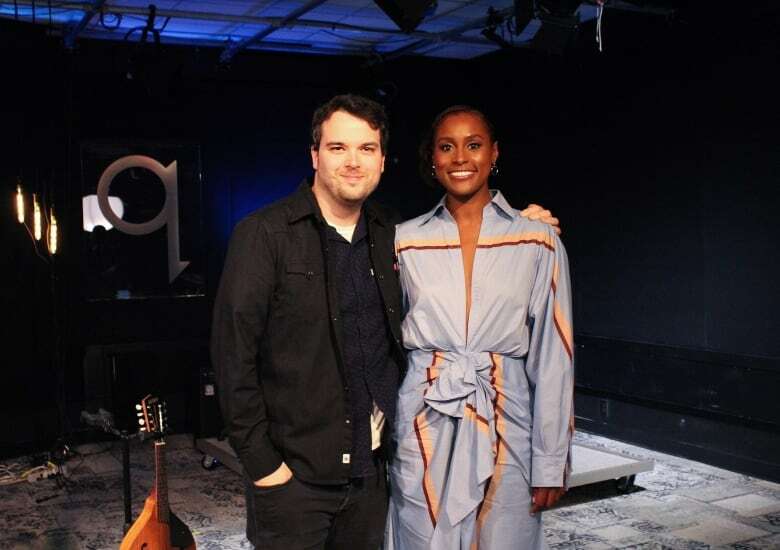 Listen to the full conversation with Issa Rae near the top of this page.